Feed your fear. FBI Agent Will Graham hunts the most notorious serial killers. What he doesn't know is his new partner is the most notorious serial killer of all. While Lecter and Graham work to unravel the mystery and catch the killer, Dr. Lecter tests him every step of the way, toying with Graham, playing a game all his own. Like only Lecter can, he twists Will’s mind, daring him to question everything he knows about others – and even more frightening – himself. 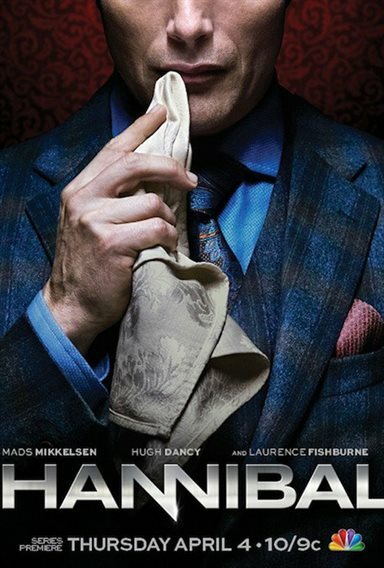 Download Hannibal in Digital HD from the iTunes store. Hannibal images are © Gaumont International Television. All Rights Reserved. Hmmm what's gonna happen next? !